Favorite Animated Superhero Feature Film? A hacker known as the Puppet Master is hunted by a female cyborg cop and her partner. 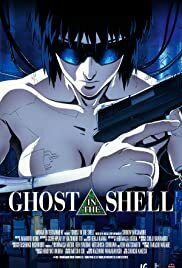 This film is a revised version of Ghost in the Shell (1995). A terrorist explosion releases a deadly virus on the masses, and it's up the bounty-hunting Bebop crew to catch the cold-blooded culprit. Newport-City 2029: Major, an advanced female cyborg, is in charge of the anti-terrorism etc. unit reporting directly to the government. Taking out terrorists and freeing hostages at an embassy doesn't go smoothly. Major investigates why. Title Card: In the near future: Corporate networks reach out to the stars, electrons and light flow throughout the universe. - The advance of computerisation, however, has not yet wiped out nations and ethnic groups. The lyrics is ancient Japanese wedding prayer and music is Bulgarian style arranged in traditional Japanese notes. Q: In what year does GITS take place? Q: Are all humans in this future cybernized? Q: What are the differences between the Original Version and the 2.0 Version? This is an incredible work in the science fiction category, but an absolute masterpiece in terms of animated film. Deep thematic probing and philosophical questions dot the story. Characters that are cyborg-humans question their existence... this is a true potential problem for the far future. Is something created outside of a womb without a soul? Do souls even exist? Set all this against some incredible action sequences, plenty of eye candy, and a very dark, acrid backdrop of the future of civilization. This is a summer blockbuster and more. It's ashame that most people are too close-minded to consider a film like this. If you open your mind, Ghost in the Shell settle itself within you... it will linger far after your first viewing. You will realize that a movie can have action, incredible effects, and STILL be deep. 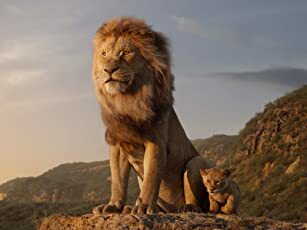 Drama, mystique, philosophy, intrigue, "going out on a limb" quality, action, adventure, deep characters who don't fall into bad or good categories, beautiful imagery, mind-boggling plot... even some comedy! I just can't get over the fact that I have never before seen a more perfect mix of the elements which make a masterpiece. EVER. 40 of 45 people found this review helpful. Was this review helpful to you?